I don’t really want to tell you because I hate it so much I promply tried to forget it. I’ll give you a hint though which is: it is the same amount round as red as it is gross. 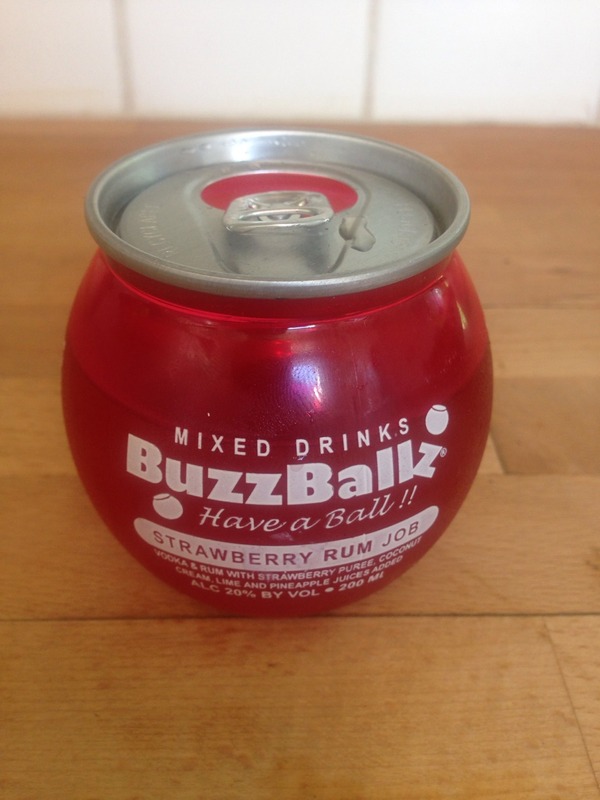 In case you couldnt guess from those clues I did BUZZ-BALLS. Unluckily even if you guessed right your still wrong because to be honest it was more like BARF-BALLS. 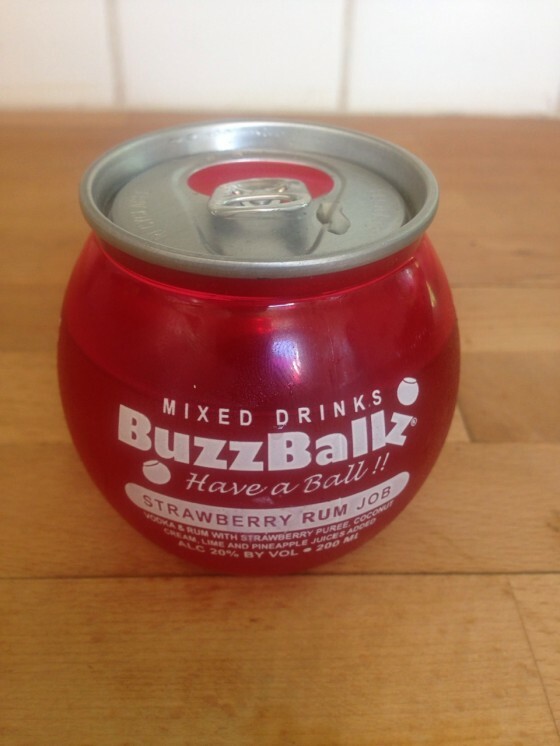 “BUZZ-BALLS RUM-JOB” NAME doesn’t even make sense except unless you count how feeling like drinking it is a STRESSY JOB! To be honest the strawberry flavor is quite sweet and fresh but the rest of it is very hot on your tounge and barf-like. If I could say one thing to the maker of this it would be you should make it all the way round so it rolls away from me. Do I reccomend this drink? In fact I DO reccomend this drink. I do reccomend this drink is never drank by a human that is! You should probably leave any future alcohol reviews to lurkskatesf.